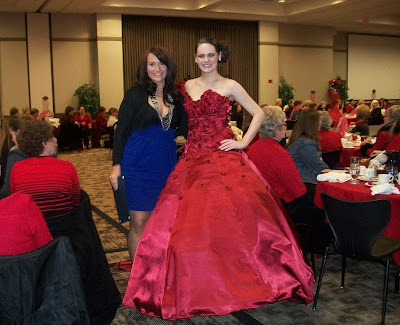 Go Red Luncheon/Syle Show on February 17 was a succcessful event. UNT presented 37 designs on the runway which 34 were from Junior students and 3 from the faculty. Special thanks to the volunteered models and dressers. In addition, congratulations to Kristen Jackson and Courtney Powers for the recognitions.